Producers are looking for ways to apply nitrogen fertilizer more efficiently based on variability within each field. Recent advances with optical sensors allow producers to uncover spatial (plant density) and temporal (plant staging) variability in real time, and then top dress nitrogen to address this variability. Optical sensors measure the amount of light reflected off the crop, which is used to calculate Normalized Difference Vegetative Index (NDVI). A difference in NDVI implies differences in aboveground biomass or growth. Differences in plant growth also imply differences in nutrient uptake. A commercial NDVI tool, GreenSeeker, is available to producers, and a canola yield potential algorithm specific to the Canadian Prairies has been developed and field tested (to a limited extent). Validation is needed on a plot- and field-scale over a wider geographical area to better understand its potential and limitations. The objectives of the project were to answer the following questions: (1) Does using an optical sensor improve the ability to arrive at a more optimum rate of nitrogen (N) in canola as compared to the current methods of N rate determinations? 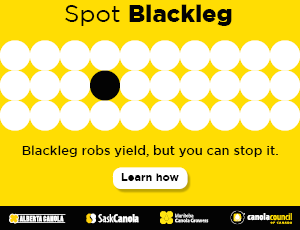 (2) How does repeated use of optical sensors on the same area affect grain yield and N use in canola over time? (3) When scaling to a farm level, what lessons can be learned from producers using the technology? (4) Do the economic benefits warrant the extra cost for the technology and the extra application costs? (5) What are the agronomic and economic benefits of other variable-rate technologies? Guy Lafond finished two years of this three-year project before he passed away earlier this year. 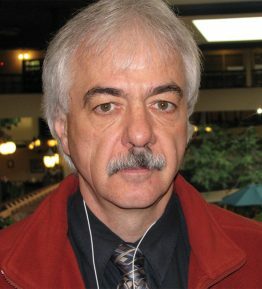 We include this report, though incomplete, to recognize his long-term dedication to agronomy research on the Prairies. Lafond led the study at three locations: Indian Head, SK, Brandon, MB, and Edmonton, AB. The site at Edmonton was lost in 2011, so only five site-years of data are available at this point. Early results support the hypothesis that nitrogen can be applied more efficiently when used in conjunction with an optical sensor and that savings in nitrogen are possible without sacrificing yield. 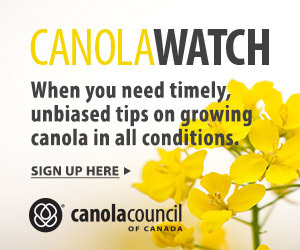 However, Lafond had planned for a four-year study, using canola and wheat in rotation, to measure the cumulative effects of the various approaches to nitrogen management.